Today’s guest feature is from party specialist Brittany Egbert from One Charming Party, an amazing party planning site that is full of themes, ideas and crafts. 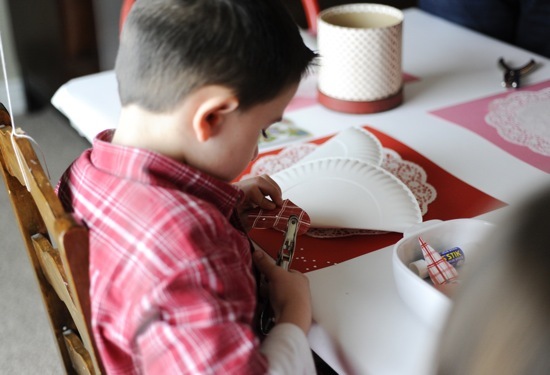 Brittany stopped by to share a super cute Valentine’s Day party for the kids. 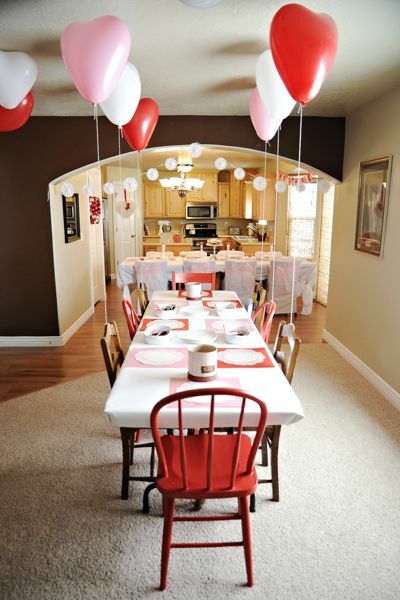 Take a look at Brittany’s party suggestions that you can recreate at home: One year I decided to have a Valentine’s Party for my kids and some of their friends. 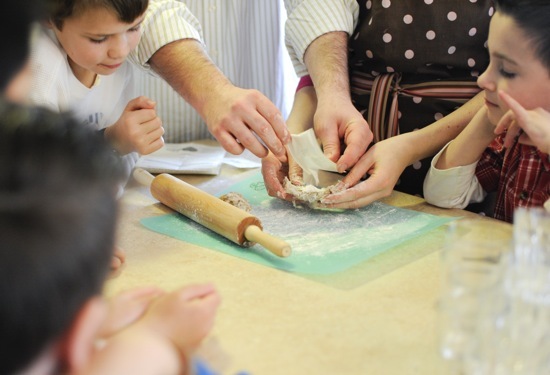 There were 16 kids who came – each of my four kids got to invite three friends. Shown below is the invitation that I made for the party. I saw a similar one on Martha Stewart. It is tricky folding it, but the reward was worth it - everyone loved opening these invites. 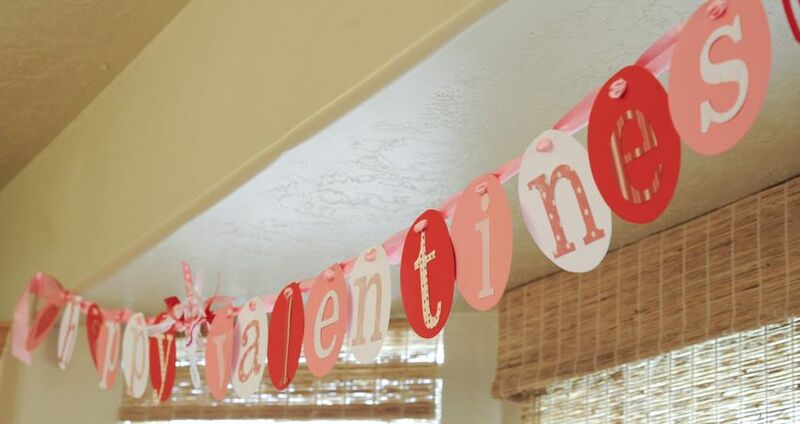 I used three different banners to decorate for this party – such an easy way to dress up a plain wall. I found these cute milk glass vases at the thrift store. 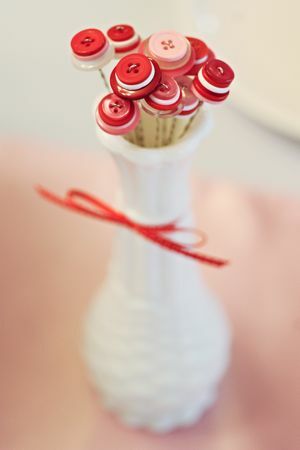 They are super cheap and perfect for these little button bouquets that I bought on Etsy from KadyHope. I knew that real flowers would cost way too much during the Valentine’s holiday, so button bouquets were the perfect solution. 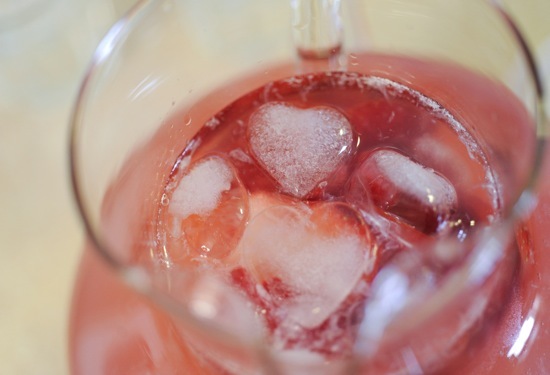 We served a sweet little drink at the Valentine’s party – pink lemonade with heart ice cubes. There was a huge mix of ages and guests included both boys and girls. I set up three activity stations and one final group activity for the kids to enjoy. 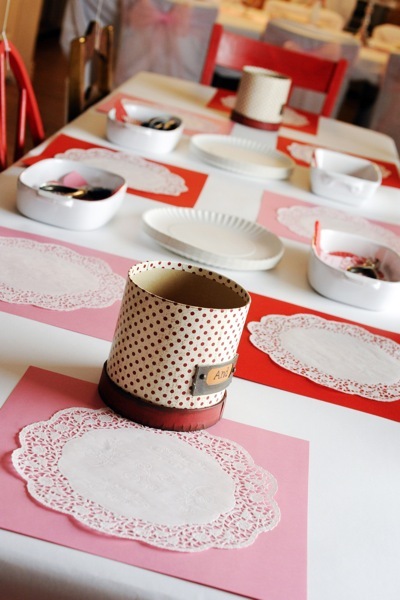 #1: The Craft Table: The kids made a valentine heart out of paper plates. They could decorate it with doilies, stickers, glitter, etc. They punched a hole in the top and made a handle with a ribbon. #2: The Cookie Table: Yummy vegan cookies and frosting (shh, don’t tell) awaited the kids on a table full of organic and all natural candy. 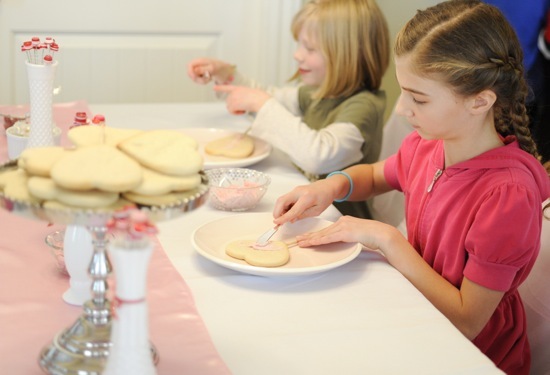 They frosted, decorated and chatted with each other while creating. #3: Making Gum from Scratch: I taught the kids at this station how to make gum from chicle. We used a “Make Your Own Chewing Gum” kit I found on Glee Gum. It was hard work, but also fun, and a new experience for me. The kids loved the concept, and I always think it’s cool to teach kids where stuff comes from or how it’s really made. 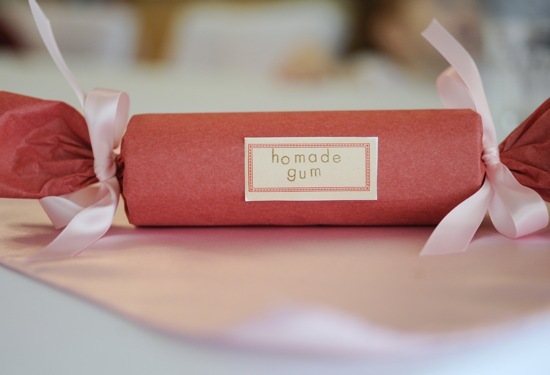 After we finished making the gum, I cut the gum dough into little pieces and wrapped it in waxed paper. Then I put all of the individual pieces into containers for the kids to take home and enjoy as party favors. 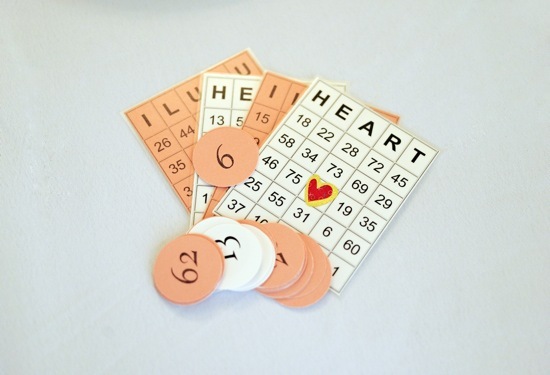 And then we all played Valentine bingo. Happy Valentine’s Day! 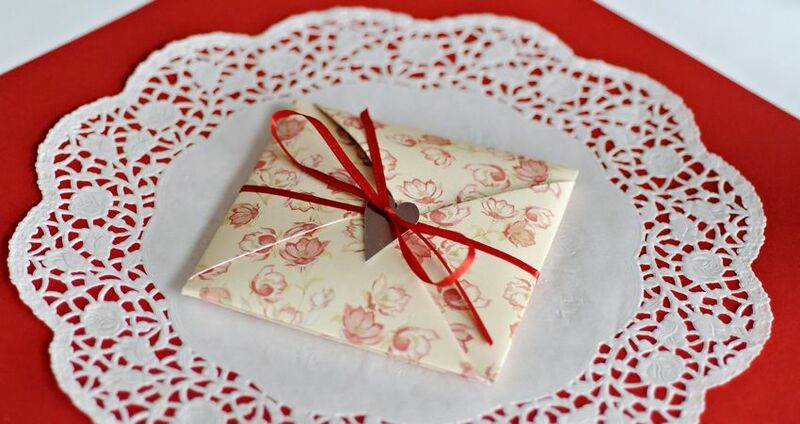 - For more party ideas, crafts and tips visit our friends at One Charming Party. 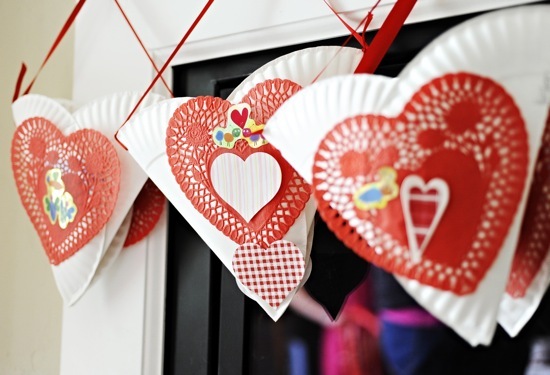 If you are looking for additional party resources, take a peek at our special Valentine’s Day Events Section and party posts. 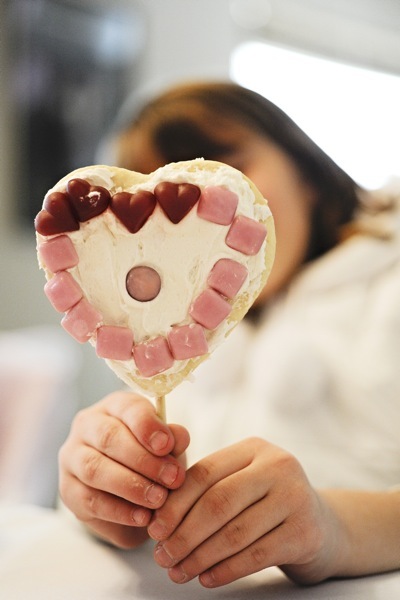 What other Valentine’s Day party ideas do you have? Share your thoughts in the comments below.